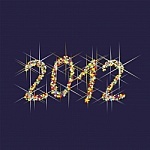 Are you crawling into 2012 with a new juice fast or gym membership? Often, around New Years, people will themselves to start yet another restrictive diet or rigorous fitness trend. The concept of starting anew feels meaningful and hopeful. I cheer loud and smile big when my patients’ feel excited about new potential methods of achieving the goals they choose. When we set goals, we also need to accept both others and ourselves. Tara Parker-Pope recently wrote an illuminating article in the New York Times on the struggle people face in trying to lose weight (http://www.nytimes.com/2012/01/01/magazine/tara-parker-pope-fat-trap.html?_r=1). The research she describes explains compassionately weight loss is not just about willpower. Your body may resist weight loss despite your most valiant efforts. Ms. Parker-Pope courageously recounts her own battle against her biological predisposition and shares data on the ubiquity of weight loss resistance. Just to be clear, I am not recommending you return your not-yet worn Lululemon outfit and spend the money on Michelin dining! You will improve your health by improving your habits. The matter to resolve is how you go about the process of moving toward your ambitions. Do you judge yourself a failure if you don’t reach a certain weight or accomplish a particular objective? People often feel tempted to define success in all-or-nothing terms and similarly judge others according to certain assumptions. For instance, you may assume someone who struggles with obesity lacks willpower or someone who is thin is happy. For a moment, consider, if you do engage in judgments, are they useful in helping you achieve your goals or connecting with others? In the service of increasing peace with yourself, in addition to any goals you may set, you might consider committing to pursuing your resolutions with mindfulness. 1. Notice judgments. Do you wish the process were easy and dwell on how unfair it feels? Wishing things were easier actually makes life harder. If you find yourself engaging in judgmental thinking, noticing this process is the first step towards stopping. 2. Focus on this moment. Instead of harping on what you did wrong yesterday or what you’re hoping for tomorrow, attend to what may be possible now. Reviewing in full detail what you ate yesterday won’t remove calories or curb your appetite. 3. Appreciate now. There is more to notice than your battle. We can pay a lot of attention to the things that upset us or we can shift our perspective toward the reality we may feel grateful for. Adopting a mindful stance towards our bodies may feel foreign and difficult. It also may feel like a weight has been instantly lifted--- I don’t know any other diet program that can promise that!